This quote is what is printed on the traditional removable CD sleeve from Jason Mraz’s new album, Love Is A Four Letter Word. This quote sums up Mraz’s album in a nutshell. Making this album, writing the lyrics, is his attempt to uncover the mystery surrounding the connotation of a four-letter word; love. By simply looking at the track listing and the song titles gives you a sense of what this album offers. These are songs about the progression of a relationship, the beginning, the romance, the love, the pain and the end. Jason Mraz is most probably known for his incredibly catchy song ‘I’m Yours’ but his talent has spanned a decade-long and nine album career; five of which have been live recordings, a testament to his incredible talent. I have been a fan of Jason Mraz since his first album. The content of each his albums is a reflection of each stage of his life. He writes from the heart which is why I believe people instantly connect with his songs. Accompanying the song credits is a couple of sentences from Jason Mraz himself. A little something about the people he worked with for that song, the inspiration behind the song or what the song means to him. It’s not difficult to see that this album is a work of love. Included on the album are some live tracks, in addition to the demo version of ‘I Won’t Give Up’. It’s amazing to listen to the song before it’s mixed and mastered. The differences between each version of the song are so subtle but the heartfelt passion is undeniable. Love Is A Four Letter Word has a jam-session feel to it. It is far mellower than his previous releases. These aren’t just words that Jason Mraz is singing; his tone and inflection show that he means each and every word. ‘93 Million Miles’ is by far my favourite song from the album, perhaps because it reminds me of ‘Take Me Home’ by Phil Collins. Its message is that no matter where you are in the world, there’s always love waiting for you at home; wherever that may be. If you feel lost, alone and sad, there’s one place where you feel like you belong. Return to the people who love you most. This song is a touching tribute to the strength of family and the need to be close to the ones who know the real you. Love comes in many forms; it’s with the person you choose to spend your life with, your family, friends, and passion. 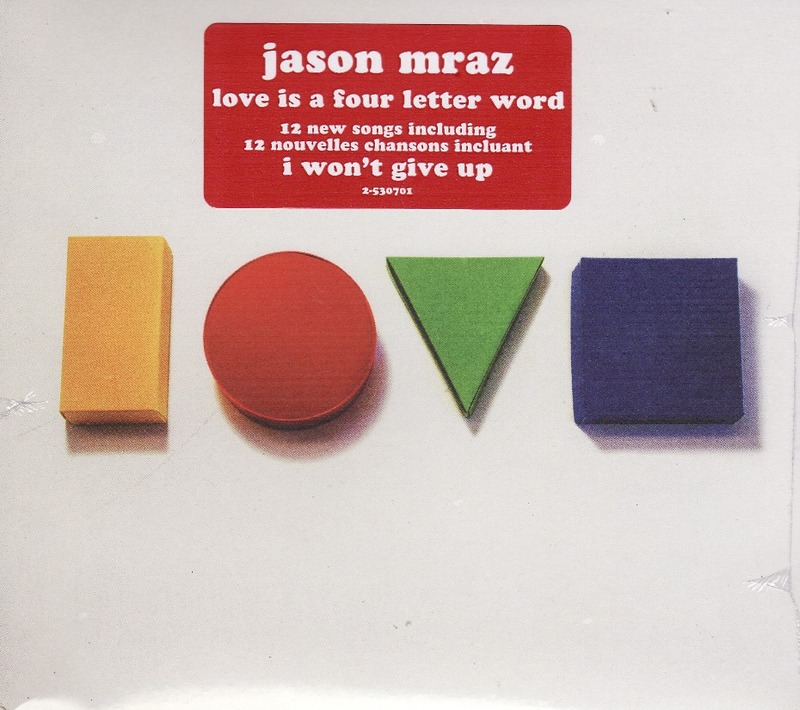 Jason Mraz has managed to combine all aspects of love into Love Is A Four Letter Word. There’s nothing not to love about this album. This entry was posted in Music and tagged music, music review. Bookmark the permalink.